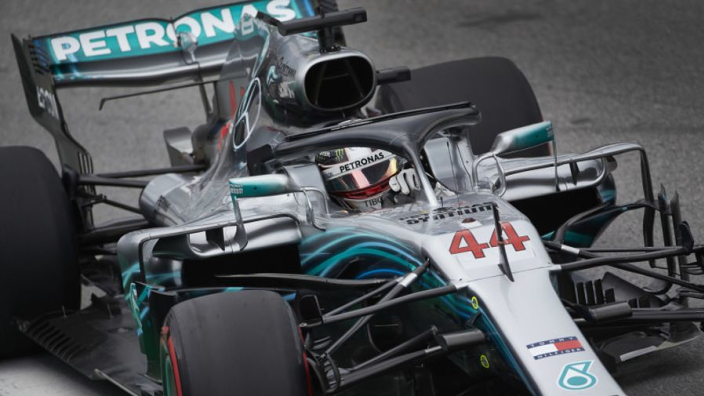 Lewis Hamilton and Mercedes celebrated the five-time world champion's pole position at the Brazilian Grand Prix as confusion continued to reign over whether or not he would be investigated for a near-miss involving Williams driver Sergey Sirotkin during Q2 at Interlagos. Hamilton crossed the line quickest of all, just pipping title rival Sebastian Vettel, but both drivers' place on the front row was in doubt. Vettel faced the stewards over destroying the FIA's weighbridge during Q2, while Hamilton was left waiting to hear if he would be summoned for forcing Sirotkin to the grass. Hamilton later revealed that Sirotkin had been on an out lap, as he had, and said the Russian attempting to overtake him was a "disrespectful move". However, with Mercedes releasing details of their Saturday, which had Hamilton on pole for the 82nd time in his career, it appears as though the Brit will keep P1.